As with any investment there are risks that must be understood and accepted prior to investing. It is important that you carefully understand and assess the risks. This document helps you understand some of the general risks. WiseAlpha Technologies Limited, WiseAlpha Limited or any WiseAlpha Product issuers (collectively referred to as “WiseAlpha” hereafter) does not provide investment advice. It is your decision to invest including carrying out the relevant due diligence. WiseAlpha do not take any responsibilities for your investment decision. If you do not understand the investment, you should seek independent financial advice from a professional that is authorised and regulated by the Financial Conduct Authority. Your Capital is at Risk. WiseAlpha seeks to minimise risks but you should be aware that returns are not guaranteed and you may not get the amount back that you invested. Investments and income can go down or up and past performance is not indicative of future performance. If you need access to the money you have invested before the scheduled maturity date of an investment, you may use our ‘secondary market’ to sell your investment to another user on a matched bargain basis less the relevant Sales Fee of that WiseAlpha product, however there is no guarantee of receiving liquidity. WiseAlpha highly recommend you maintain a balanced portfolio. Diversification (by spreading your money across different types of investments) should reduce your overall risk. You should only invest a proportion of your available investment funds via the platform due to the high risks involved. As with all investment vehicles or funds, WiseAlpha Product Issuers may be exposed to credit and counterparty risk with the parties with whom it trades such as such as clearing agencies, clearing houses, banks, securities firms and exchanges. The bankruptcy or default of any counterparty could result in losses however WiseAlpha aims to mitigate this risk by working with creditworthy counterparties which are monitored and reviewed on an on-going basis. Specifically, in relation to the WiseAlpha Notes Product, you will not be holding the underlying bond investments or other investments discussed herein. This means you do not have voting rights in respect of any of the underlying bond investments or other investments. You may not have recourse to the Financial Services Compensation Scheme. WiseAlpha do not provide advice or make personal recommendations. Content and information on the platform about potential investments is designed for general use, and so cannot be considered personal to your circumstances or your financial position. Information posted on the platform about investments is taken from publicly available information for each borrower company listed on the platform. Neither WiseAlpha Technologies Limited nor any WiseAlpha Product Issuer is responsible for the accuracy of this information. Interest from WiseAlpha Products are currently paid to Note holders without any tax being deducted. 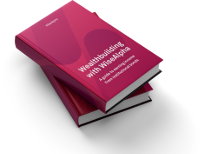 Any income you earn from your investments in WiseAlpha Products forms part of your overall income that is subject to personal or corporation taxation rules. Interest payable to WiseAlpha Product holders on money invested is charged to income tax in the tax year the interest is received. For example, interest received on 31 December 2018 is received in and taxable for the tax year 2018/19. You should declare any interest and capital gains to the HM Revenue & Customs on a self-assessment tax return if you are an individual or inform your local tax office. At the end of the tax year WiseAlpha will make available to all investors an Annual Income Statement splitting out the relevant amounts for your tax return, to download from your account. If you are in any doubt about your tax position you should seek independent tax advice. This platform is not directed at or intended for publication or distribution to any person (natural or legal) in any jurisdiction where doing so would result in contravention of any applicable laws or regulations. The platform information does not constitute an offer or solicitation in any jurisdictions in which such an offer or solicitation is not authorised or to any person to whom it is unlawful to make such an offer or solicitation. The information herein is not for distribution and does not constitute an offer to sell or the solicitation of any offer to buy any securities in the United States to or for the benefit of any United States person (being residents of the United States or partnerships or corporations organised under the laws hereof). None of the products listed on this site have been registered in the United States under the Investment Company Act of 1940 and interests therein are not registered in the United States under the Securities Act of 1933. Prospective investors should take appropriate independent investment advice and inform themselves as to applicable legal requirements, exchange control regulations and taxes in the countries of their citizenship, residence or domicile. Any accounts set up in relation to the Notes product will be held and managed in the name of WiseAlpha Limited, a company incorporated under the laws of the British Virgin Islands, whose registered address is at Intertrust Corporate Services (BVI) Limited, Nemours Chambers, Road Town, Tortola, British Virgin Islands VG1110. As a BVI incorporated entity WiseAlpha Limited will not hold any money which would constitute client money for the purposes of the FCA’s Client Money Rules. Any accounts set up in relation to any other WiseAlpha Product Issuers will be managed in the name of those Issuers with their registered details available within the Terms & Conditions of those Issuers.